1st night in Prague was sleepless as usual due to the hot weather and my friendly insomnia. I finally got up around 7 and prepared everything for the day which had to be spent out of Prague. I met my friend Lukas at the central train station in Prague and we went to a bus station to go to Terezín. This fortress in Litomerice is known for being a concentration camp where Jews were imprisoned, as well as Czech politicians. 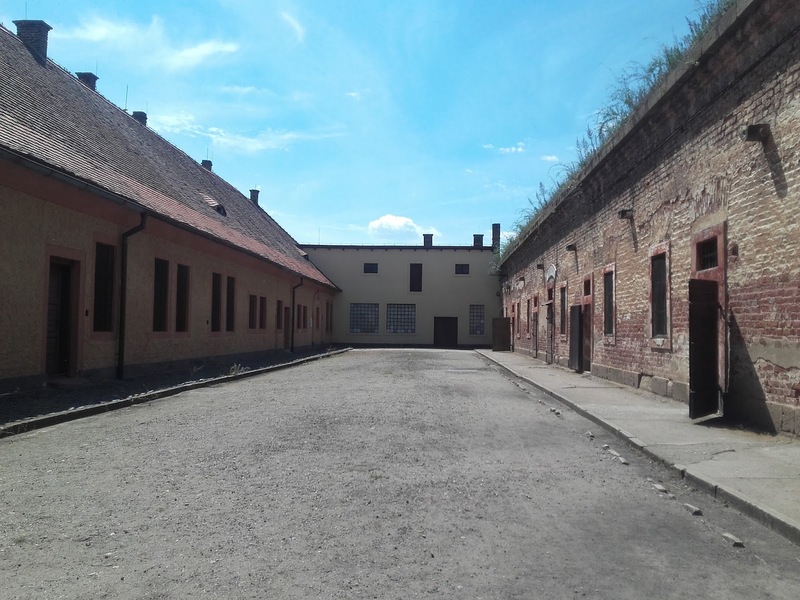 With the occupation of the country in 1939, the Gestapo was set up in the Small Fortress of Terezin in 1940. The inmates were mostly Czechs and then other people from Prussia, Poland, Germany and Yugoslavia. Most of them had been arrested due to their resistance to the Nazis and were sent to the extermination camps. The Jewish Ghetto was created in 1941. 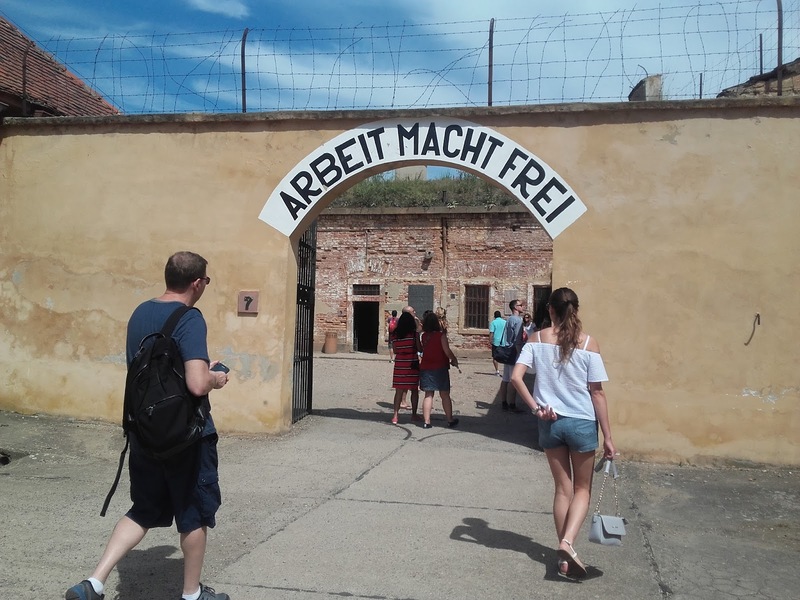 Now Terezín is still trying to grow its economy and has some tourism due to historical issues. The Fortress was listed in the 2002 World Monuments Watch by the World Monuments Fund. In 2002 the city suffered some floods and the crematorium was damaged. They carried out a conservation plan in cooperation with national authorities, including repairs in documentation and also archaeological research. We joined a guided tour and could learn everything that happened in the Kamers, courtyards, etc etc. It was shocking to see the conditions those people had to live in (most of them died there) and the way the police treated the prisoners. Jews were the worst treated among them all, with almost no air in their room -a very small one with no beds where they had to stand up all day & night. It is shocking and very hard to see these things but it also feels like a very vivid history lesson in which you learn a lot and makes you think and wonder about what was going on in such minds to do those atrocities. 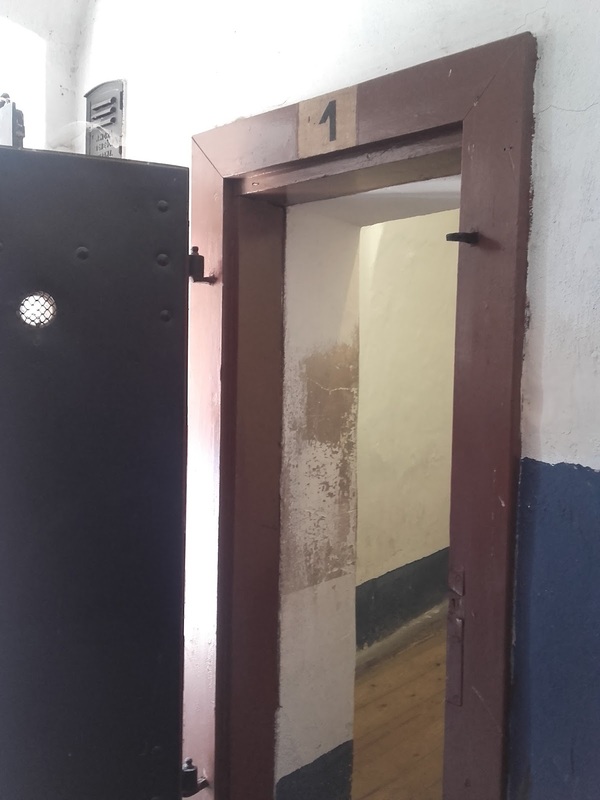 I found it all very interesting and didn't know before that the actual killer of Franz Ferdinand (event which started the WWI) was imprisoned there in Kamer nº1. More to come about the lovely Prague..